When the annual Design Festival in London kicks off in september, it will be with participation from the exhibition DANISH MADE which is based on work of students from The Royal Danish Academy of fine arts, Aarhus School of Architecture and Teko Design + Business Via University College. The Exhibition has been invited to exhibit at TENT London from the 18 – 21. of september. 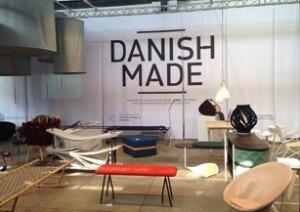 The exhibition celebrates the 100th anniversary of the danish furniture designers Børge Mogensen and Hans J. Wegner and it got a lot of positive attention during the Milan Furniture Fair in April this year. DANISH MADE is an activity in Innonetlifestyle – Interior and clothing and it is powered by Kvadrat A/S, Expotape, COOP DK and Fritz Hansen.